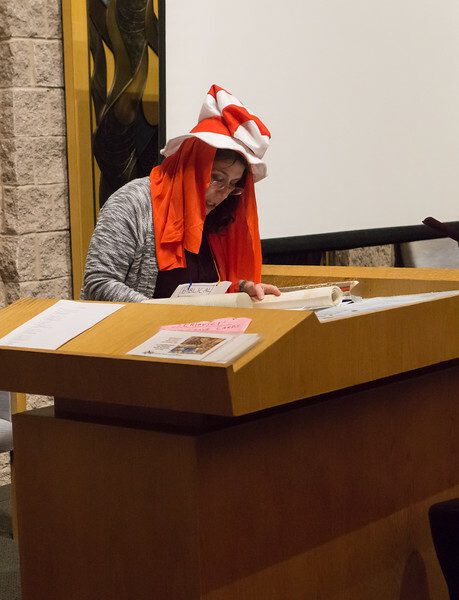 CBE's Purim Shpiel 5778/2018 was presented to the congregation, Dr. Seuss-style, by grades 2-7 and madrichim. Thanks so much for the fun retelling and the great ruach! Also check out the video of this production at https://youtu.be/UxZ1f-NoViI! Also photos of the congregational Megillah Reading!